With the restyled 2011 CL-Class, drivers can experience two amazing new V8 engines. 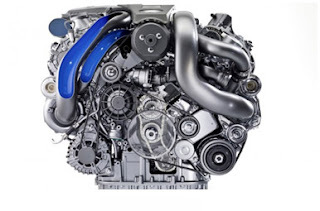 The first, a 4.6-liter V8 engine, has more horsepower and torque than its predecessor and 10% better fuel economy. The second is a hand-assembled 5.5-liter AMG V8 engine, available in the available in the 2011 CL63 AMG coupe. These two new engine choices, along with the dramatic lines and stunning interior make the CL-Class the "epitome of luxury coupes." Mercedes-Benz SLS AMG Goes Top Down!